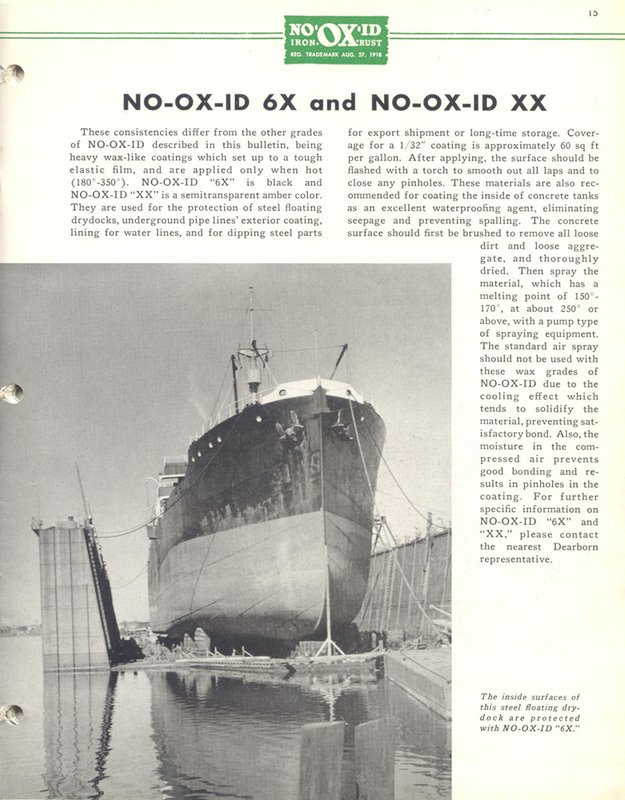 NO-OX-ID available for direct purchase from Sanchem! 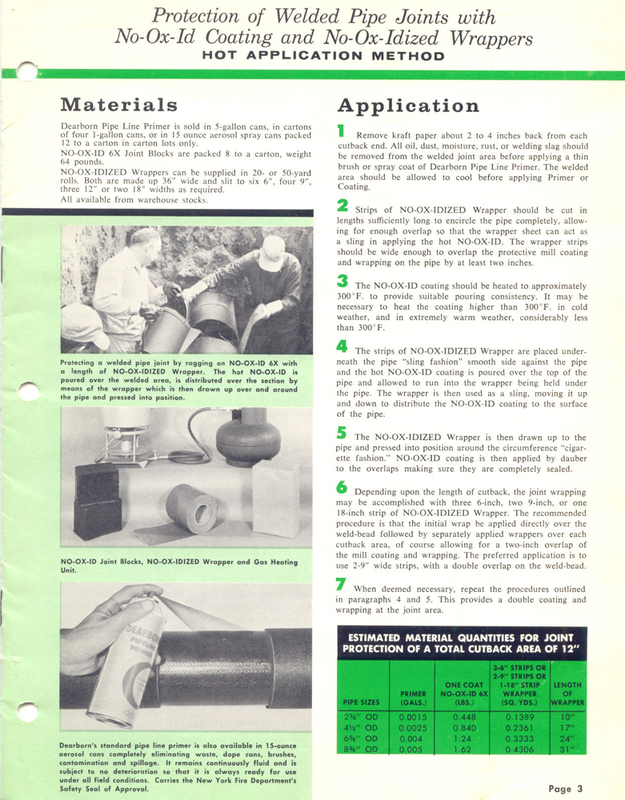 NO-OX-ID 6X is a black fairly tough, elastic, and rubbery wax type hot applied coating and is designed primarily for application to underground pipe. This rust preventative coating has a melting point of approximately 160°F - 175°F and it will not cold flow. NO-OX-ID 6X provides a firm, flexible, and securely bonded insulation, which is always in contact with the metal.